Have you ever been to a place where the atmosphere just made you feel so at home? Or where you wished your home would feel like?! 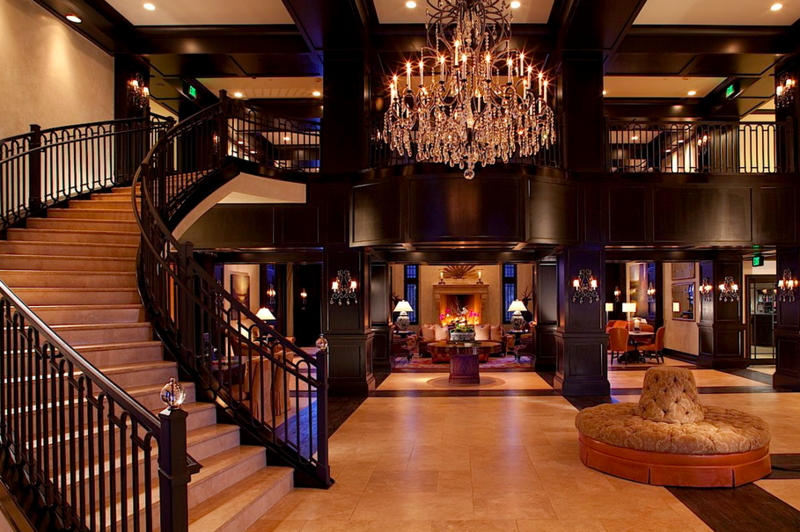 This place for me in Park City is the gorgeous, yet cozy, Waldorf Astoria. 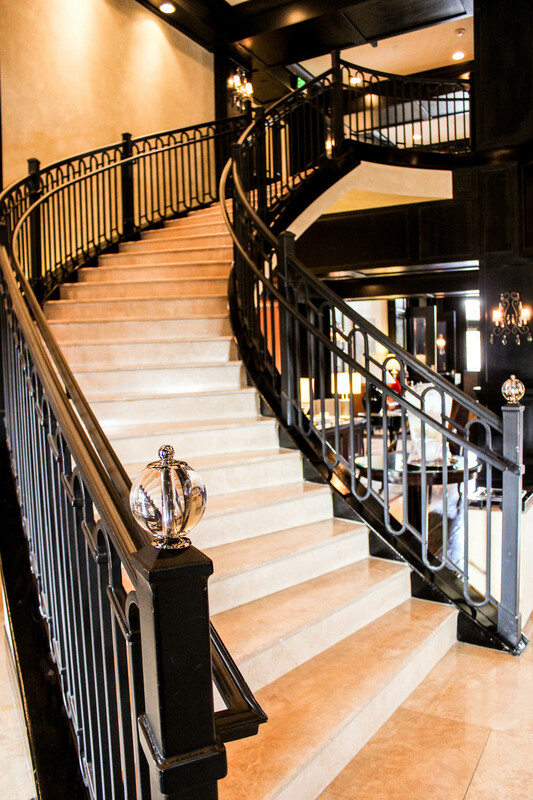 Stepping foot inside, you are welcomed by a beautifully designed lobby that is a perfect mix of rustic and glamorous. Originally designed by Stephen Brady as a condominium in 2009, this hotel is not only stunning, but holds a special place in my heart. It was 3 years ago that my now husband, Eric, proposed to me while staying here and he couldn’t have picked a better place to pop the question! 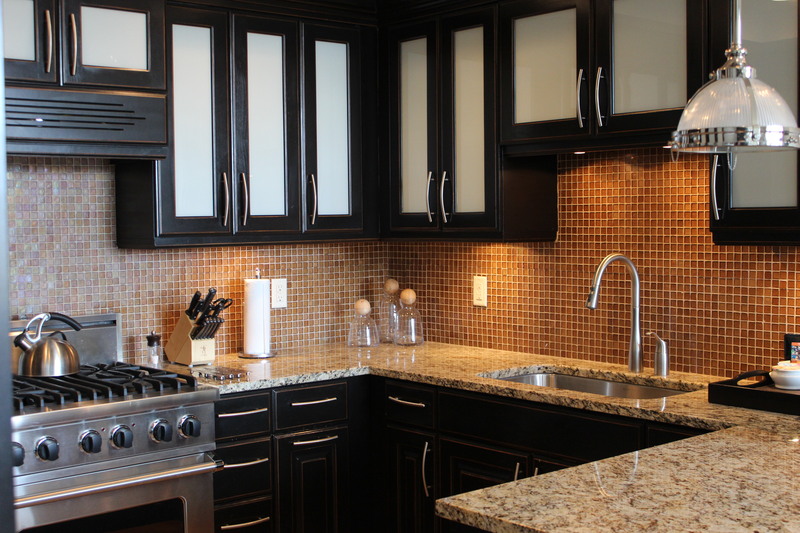 We had an unforgettable engagement but today I am sharing a few details about the design features that are also unforgettable to me. 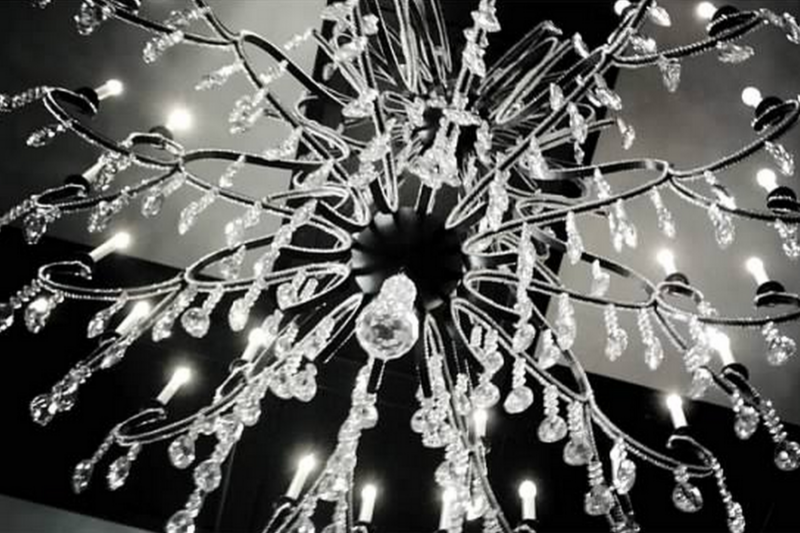 The gorgeous handcrafted chandeliers, made of wrought iron and baccarat crystals, are surely the first thing you notice when walking in and my favorite design element. On my first visit, I snapped the photo above and now have it framed in my house. It’s a lovely everyday reminder of our engagement weekend. 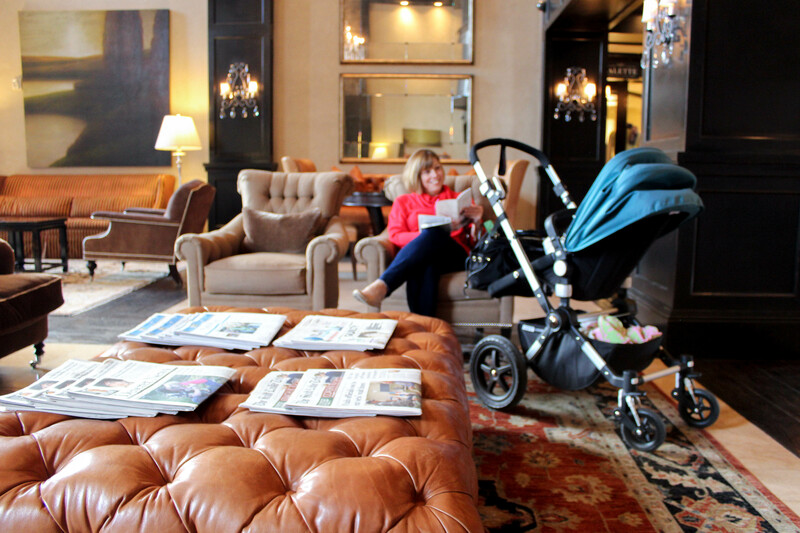 I was fortunate enough to have a girls trip with my Mom and daughter to Park City recently and I couldn’t wait to visit the Waldorf again. Dana Fioravanti, the Public Relations and Marketing manager, was kind enough to meet with me and gave me the inside scoop on some of the unique design elements of the Waldorf Astoria. The first thing Dana emphasized about the Waldorf’s across the world is the importance of designing an impressive lobby. 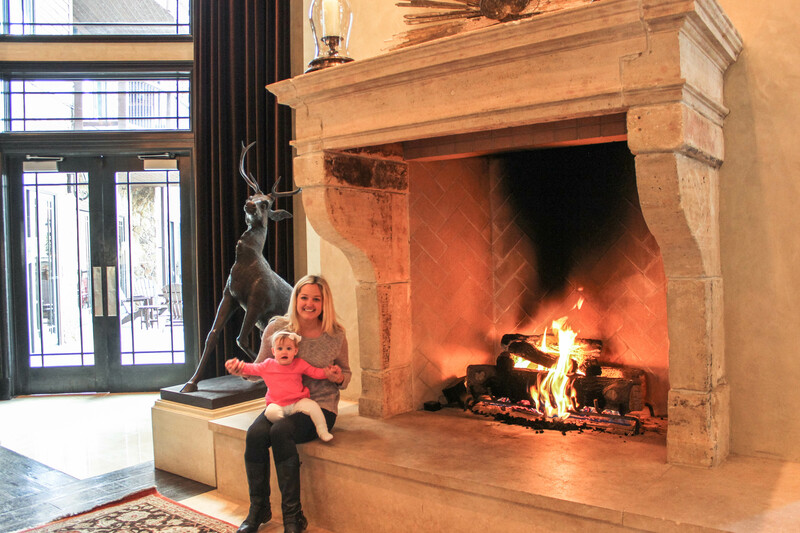 Dana explains that each lobby offers “its own unique ambience, heritage and status, hence our center fireplace where guests gather, mingle, sip on wine or hot chocolate, and even choose to wed in front of”. The history behind this focal point is impressive as the antique fireplace mantle was imported from the south of Italy and is 300 years old. 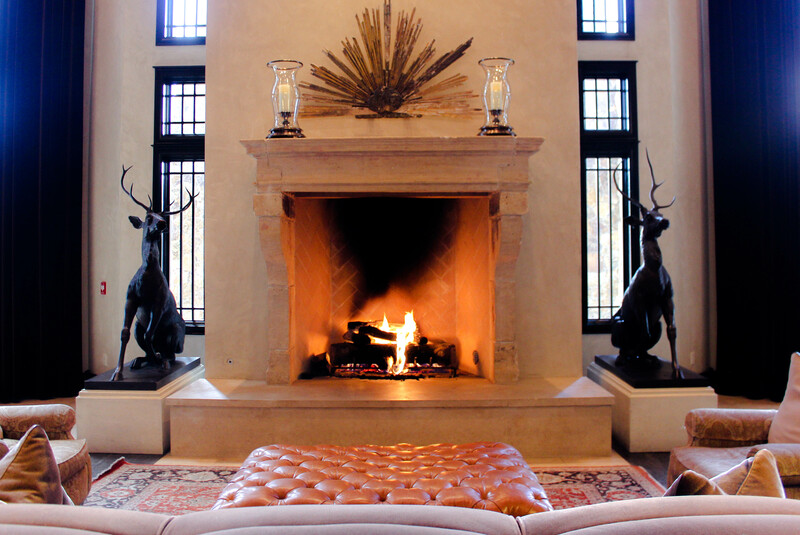 The hand carved stags that sit on both sides of the fireplace are 100 years old. That is something to appreciate while warming up by the fire après ski! Dana elaborates that the thought behind the “unique lobby designs are to mimic the historic Peacock Alley of Waldorf New York, the gem of the hotel’s lobby and place to “see and be seen“. 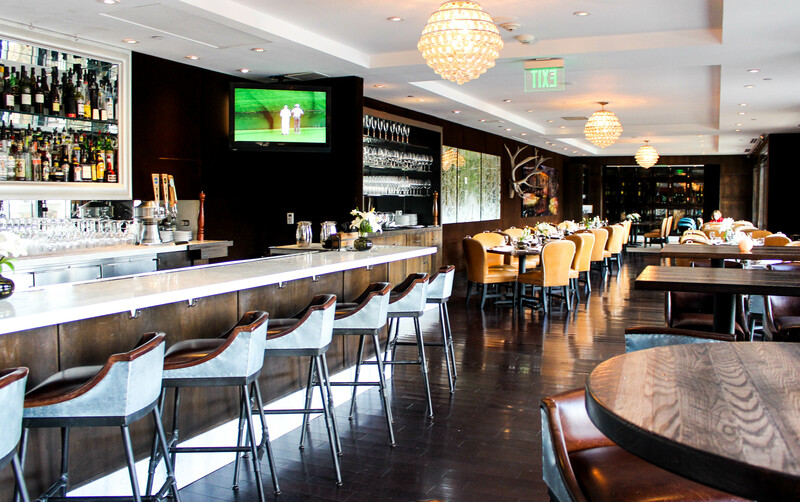 The restaurant off the lobby in Park City’s Waldorf, was recently given a new name and fresh look. Now called, Powder, the 5,000 sq. ft. restaurant boasts industrial style stools, a marble bar countertop, leather nailhead chairs, dark woods and antlers on the wall – very mountain-esque! Nothing says vacation like a midafternoon glass of champagne. 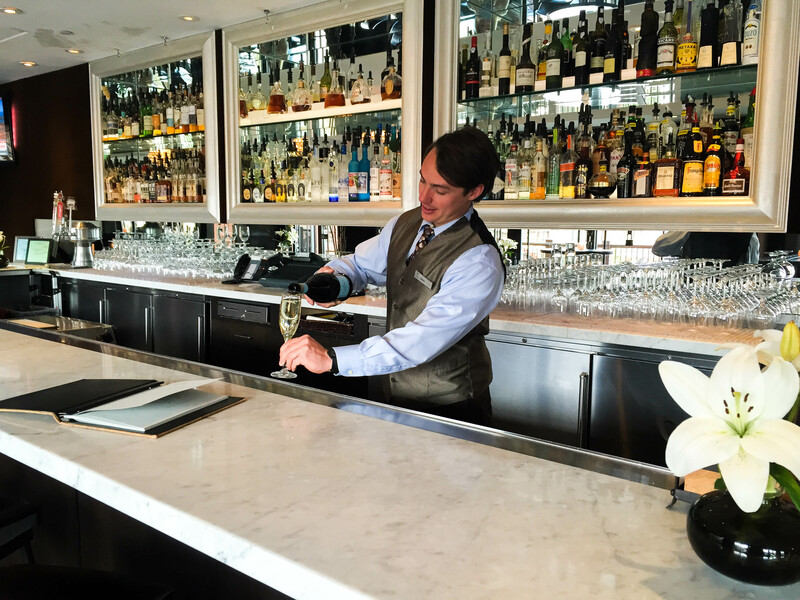 Dillon, our bartender, does not skimp on the pours! 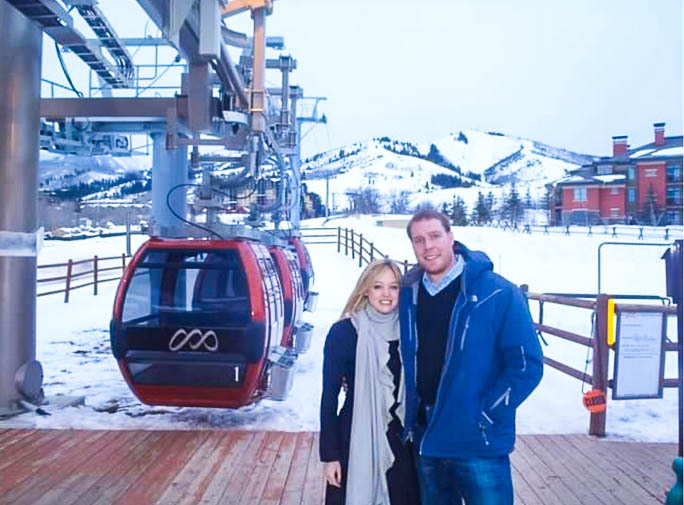 The location is ideal for skiers (which is a must in Park City!) since there is a gondola right outside the hotel which takes you up to ski at the Canyons. This is Eric and I right before he proposed three years ago. Thanks for reading and thank you to the staff at the Waldorf! I hope to see you again very soon. Image credit: top image via Waldorf Astoria. Yes! I highly recommend it! We loved our stay and can’t wait to visit again! PC is a beautiful place to visit, anytime of the year.